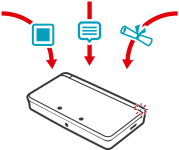 SpotPass allows your Wii U and Nintendo 3DS family system to receive notifications from Nintendo and its partners. Notifications can include promotional notices, such as alerts about sales or new software releases, while data can include free in-game items. For example, you might receive a new piece of furniture in Animal Crossing: New Leaf. It is possible to opt in or out of receiving notifications via SpotPass.